It’s not surprising that the video is “going viral.” But I was a little surprised that I hadn’t heard “Bronco Bama” anywhere before in other contexts. It’s one of those turns of phrase that sounds inevitable once you’ve heard it. Behold the great genius of Democrat National Convention marketing. 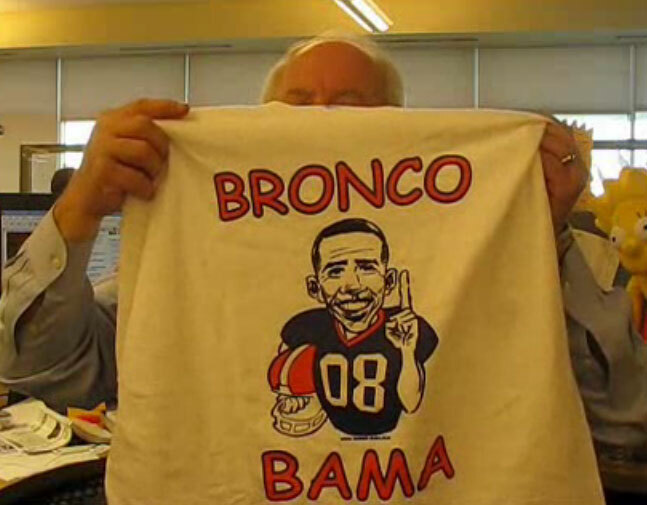 “Bronco Bama” cleverly plays off the Deocratic nominee’s unusual name, reminds us that he will accept his party’s nomination in the stadium where the Boncos play, and connects to the team that owns Denver’s sporting heart. You may see greatness during the convention, but rest assured, Bronco Bama has set the bar very high in the street.